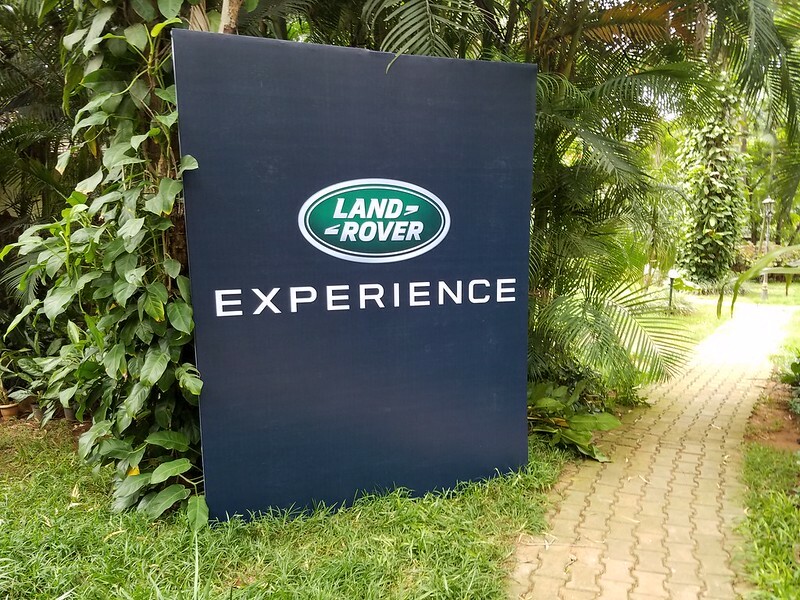 Adventure is always kindled my interest and i am always up for anything that comes my way that has #Adventure tagged to it and couple of days back,i was invited for LandRover Experience to test out the remarkable capabilities of Land Rover while off-Roading in the rugged terrain.The journey for me started from my house itself which is in North Bangalore, Malleswaram and the event location is near Bannerghatta National park which is 30 kms from my place.This journey to the location itself was like an off-road experience that took me 2 hours but it was worth the wait. 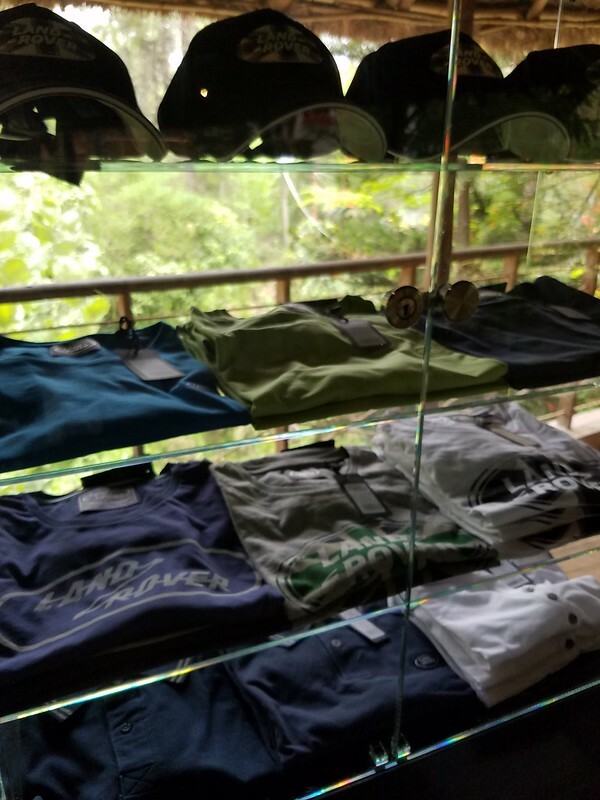 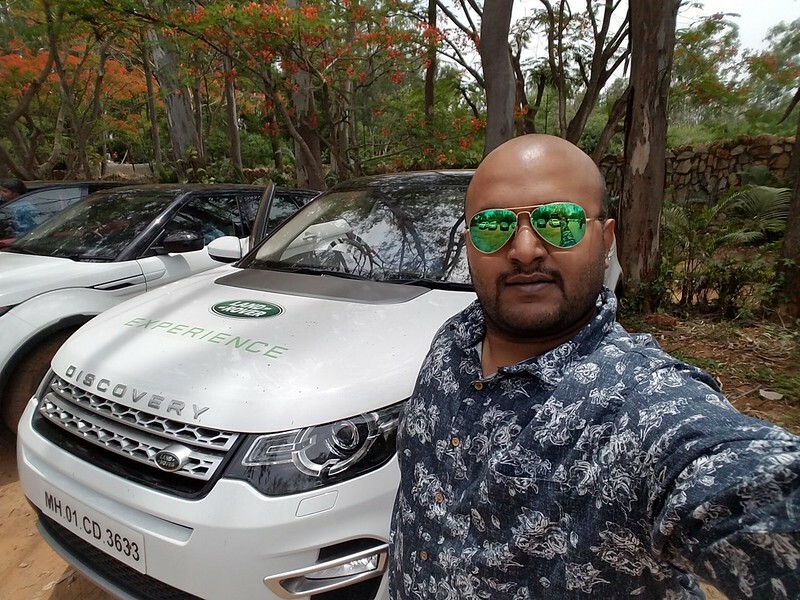 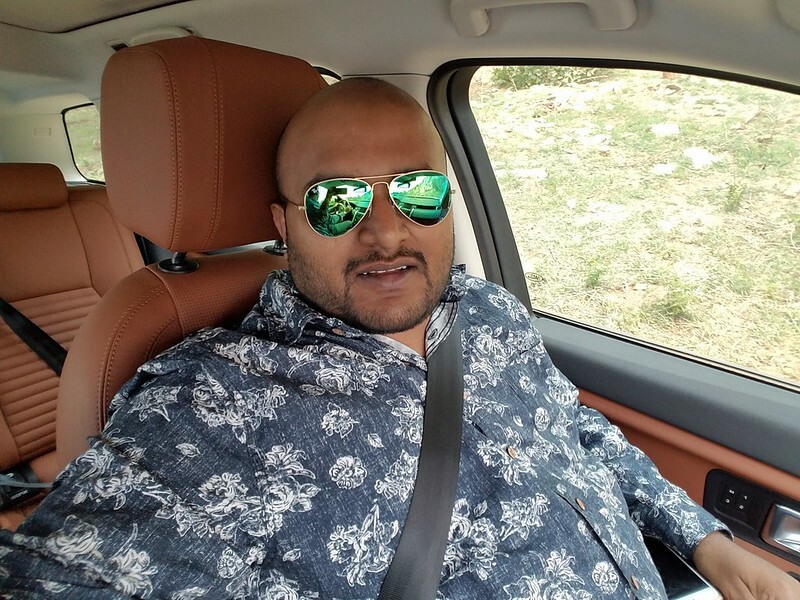 As i arrived at the Venue: Wild Retreat Adventure Club, Shanbhoganahalli Village, Bannerghatta South, Bangalore – 560083. 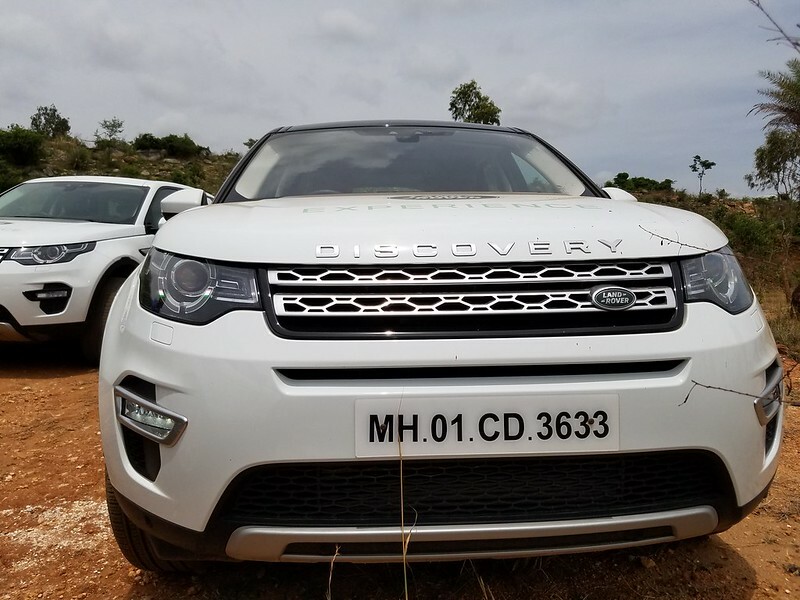 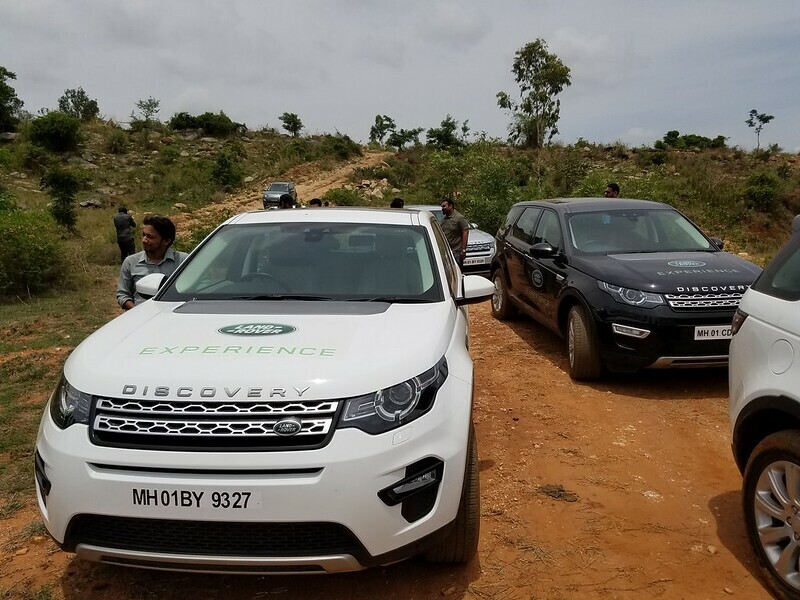 We had bloggers, Media were invited to experience a thrilling off-road drive with the New Discovery Sport & New Range Rover Evoque. 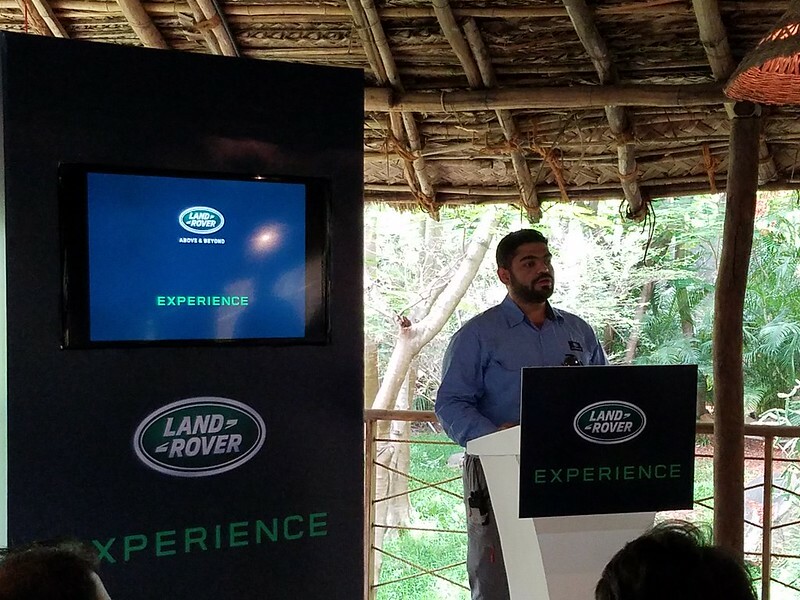 We had an introduction session where the legacy of mean machines where showcased over the years and the new Discovery Sport is all ready to kick some sand, mud, rocks, snow.For years , Land Rover Discovery sport has been known to the most rugged off road vehicles made by mankind and lately the usage has been restricted it to luxury and concrete usage.But by the looks of it, its like James bond, Suave and sleek yet rugged where both luxury, power and ruggedness joins hands to Create the all New Discovery Sport. 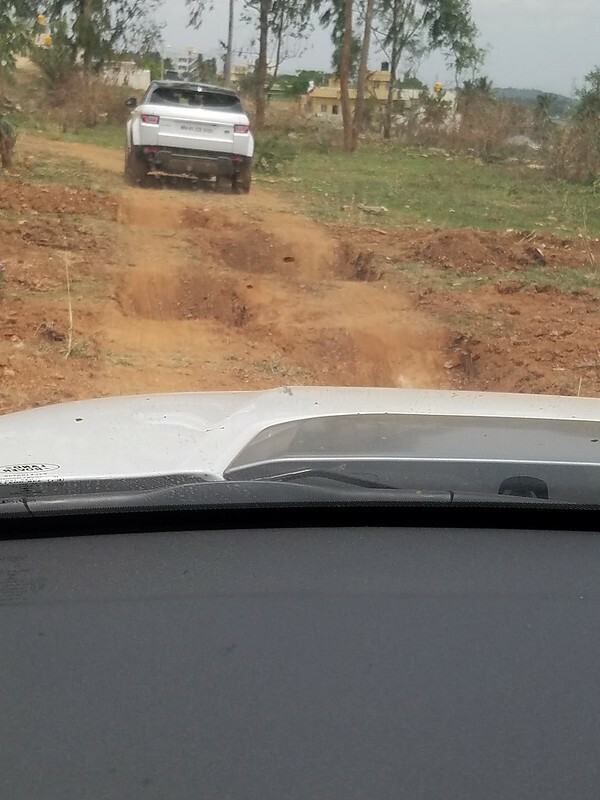 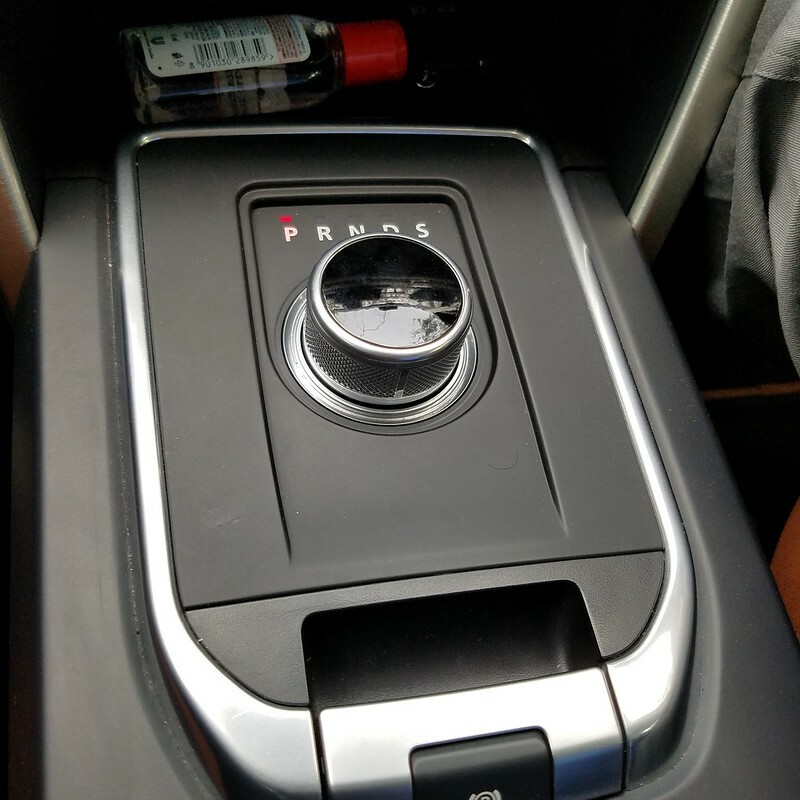 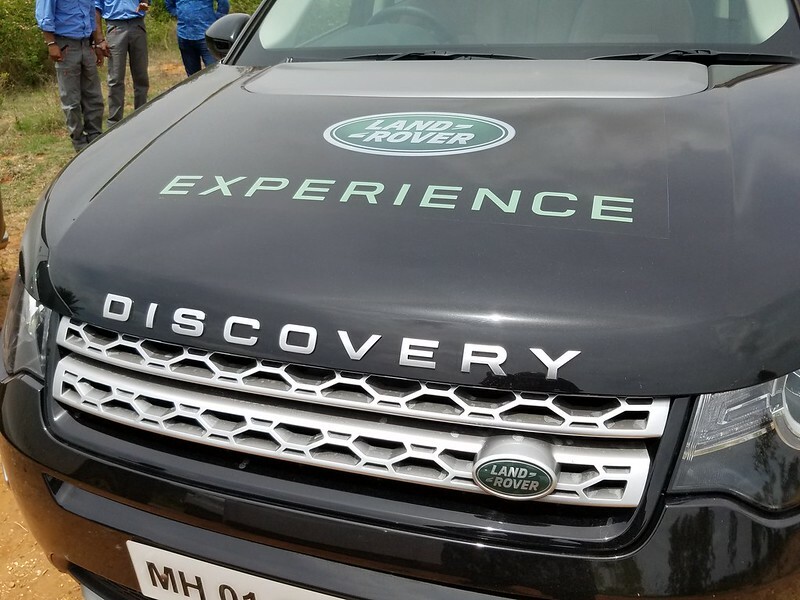 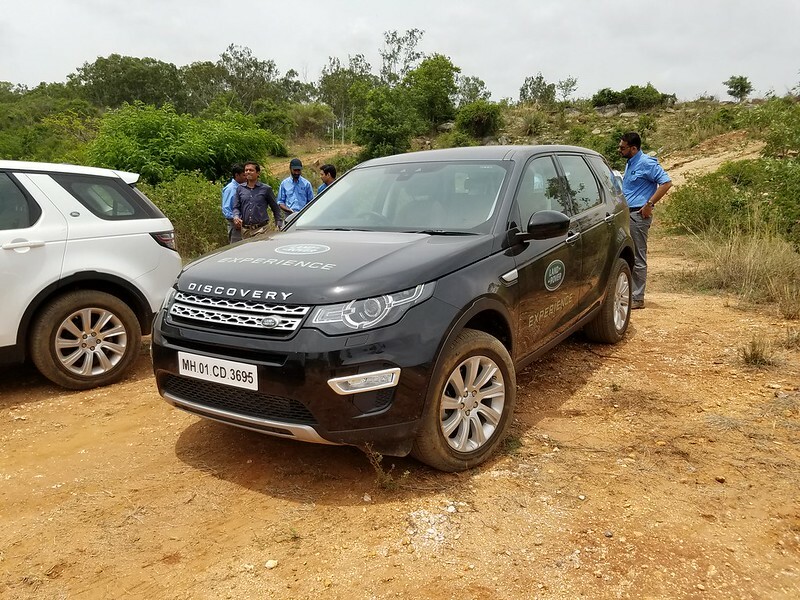 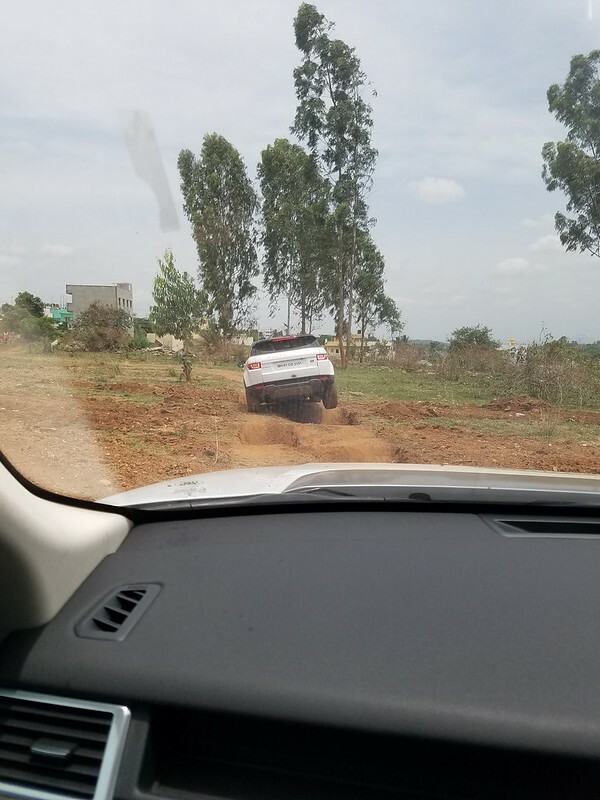 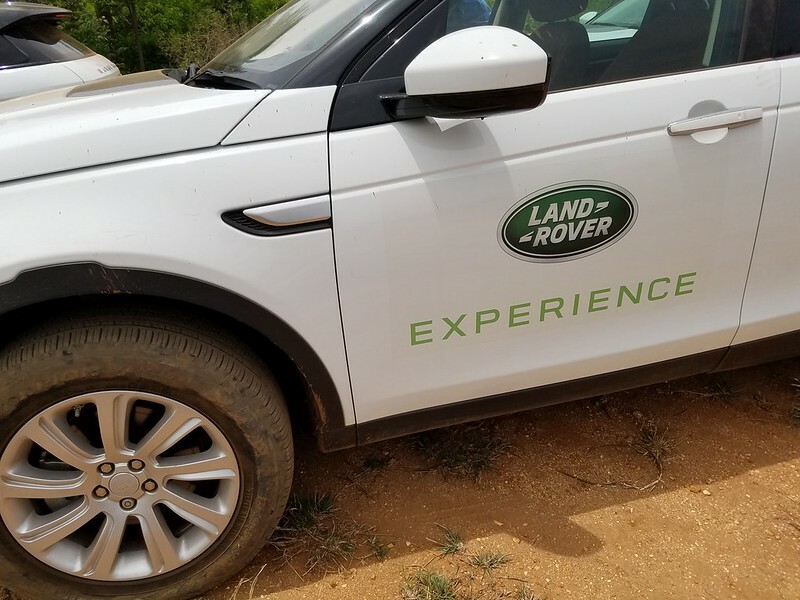 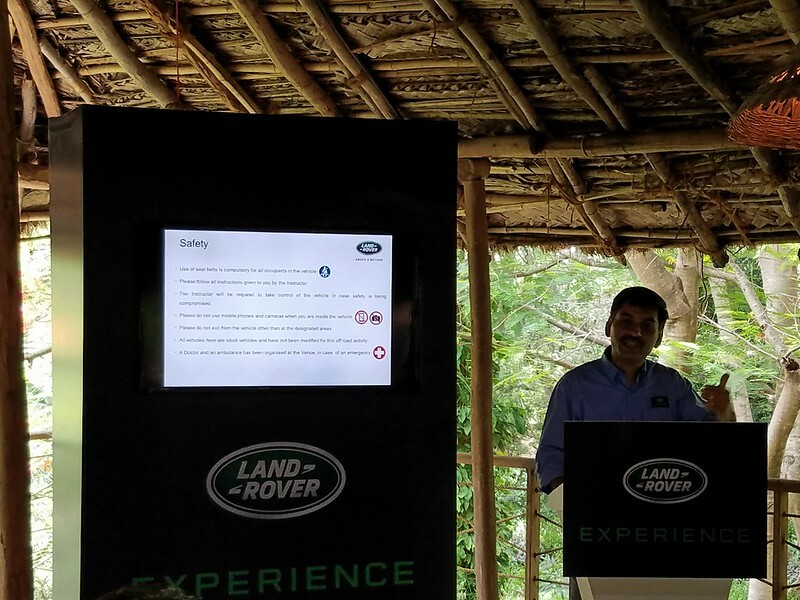 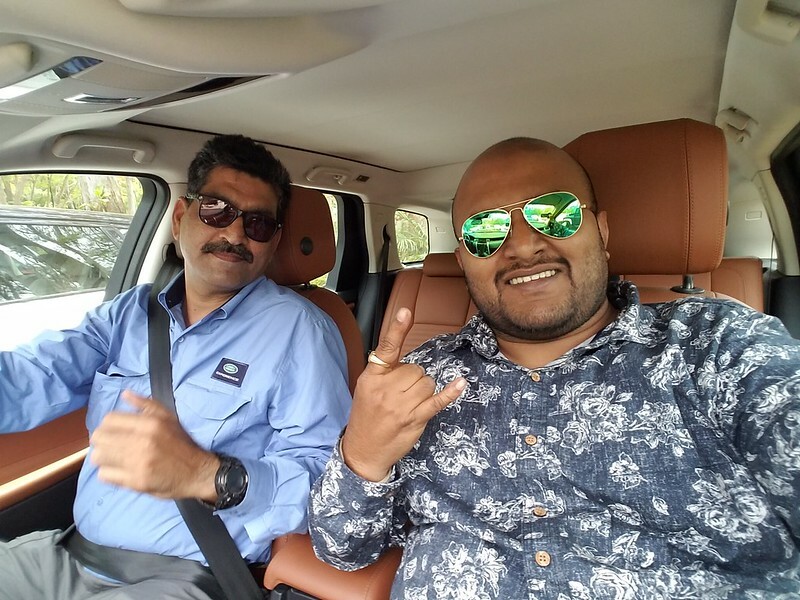 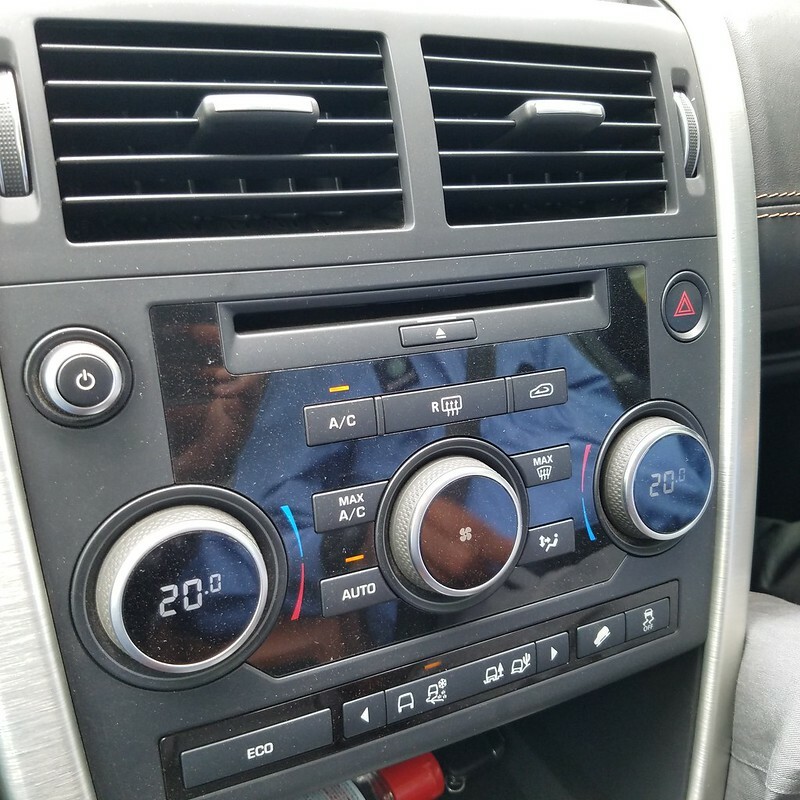 We were briefed about the efficiencies of the Car and the terrain and obstacles they can manoeuver with ease and the challenges the specially designed circuit had today and if we were ready to face it with the mean machine “Discovery Sport”. 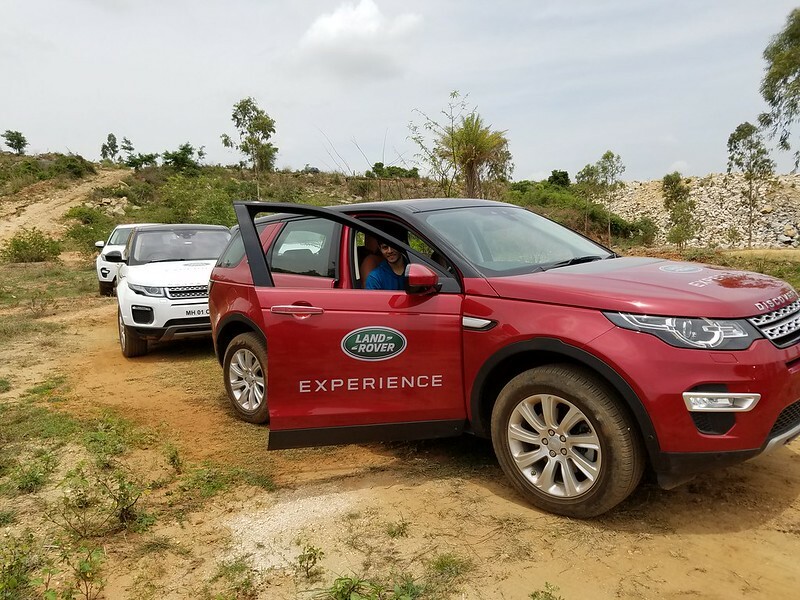 Each person was allocated a car with a specialist who could help you during the drive especially when its strenuous. 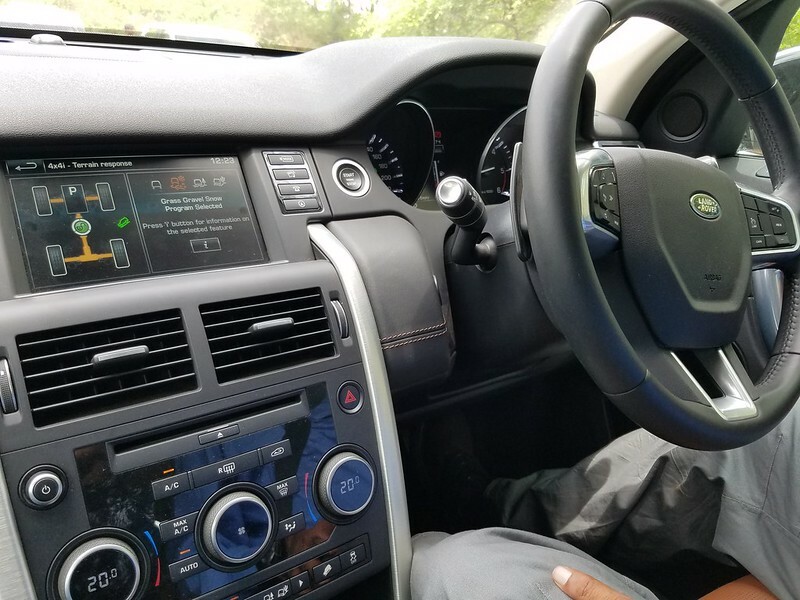 My first look of the car,its surely compact and well built through it isn’t the hulk size Surely the of the bigger Range Rover but is perfectly built with the contemporary looks and compact design which can easily go thru narrows places. 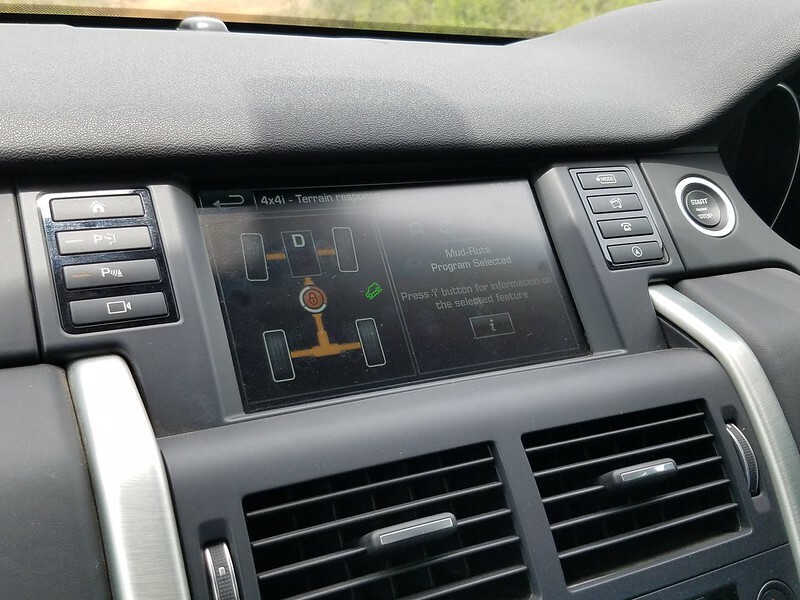 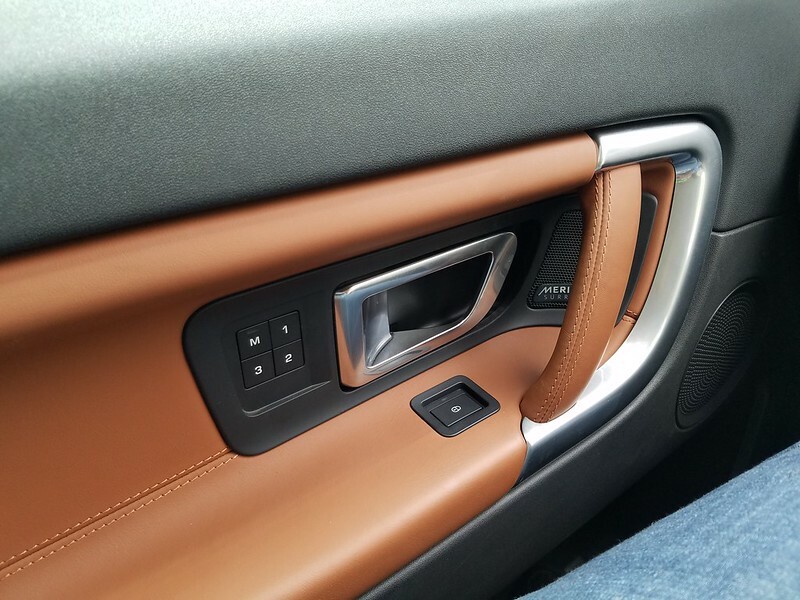 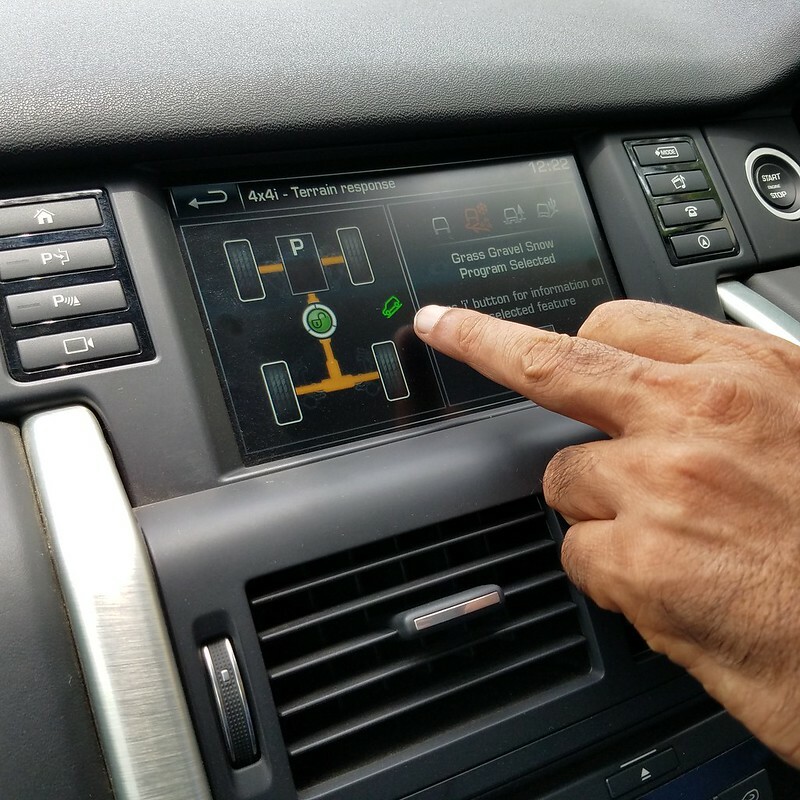 The Discovery Sport key features when the Top of the line model has is the contrast roof and bonnet appliqué, adaptive bi-xenon headlamps with LED day time running lamps, 18 inch alloy wheels and 17 speaker Meridian HiFi which is well designed and the rear seat entertainment package with two headrest mounted monitors. 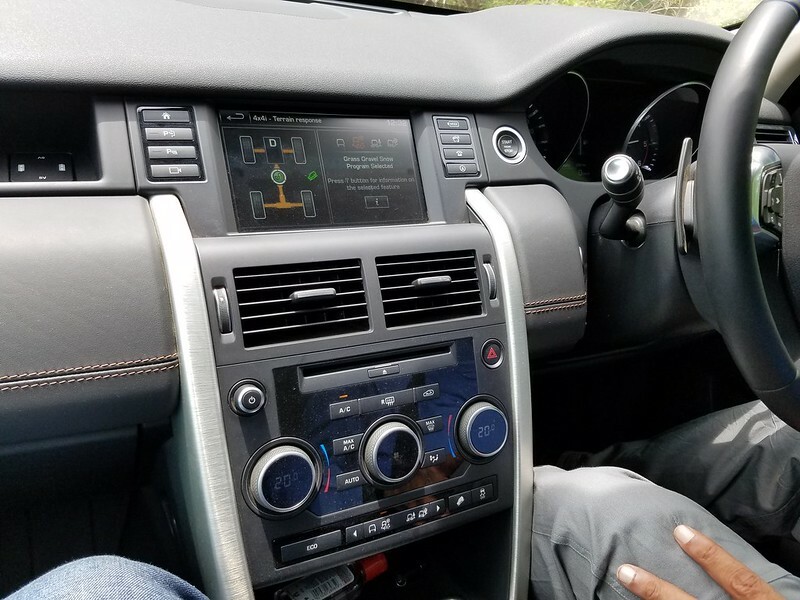 leather seats, soft touch plastics,Well laid aluminium panels,The quality is top notch with luxury in every nook and corner of the car.The interiors and dashboard is sleek with various drive modes based on the terrain you are driving.The steering wheel is nice and there is a pair of sizable paddle shifters behind the steering wheel so you can be in full control of the gearbox, the instrument dials are large and are placed in deep within the console and feel very premium with well illuminated graphics and an MID screen which pops a lot of information the moment you press any button on the driver’s control area. 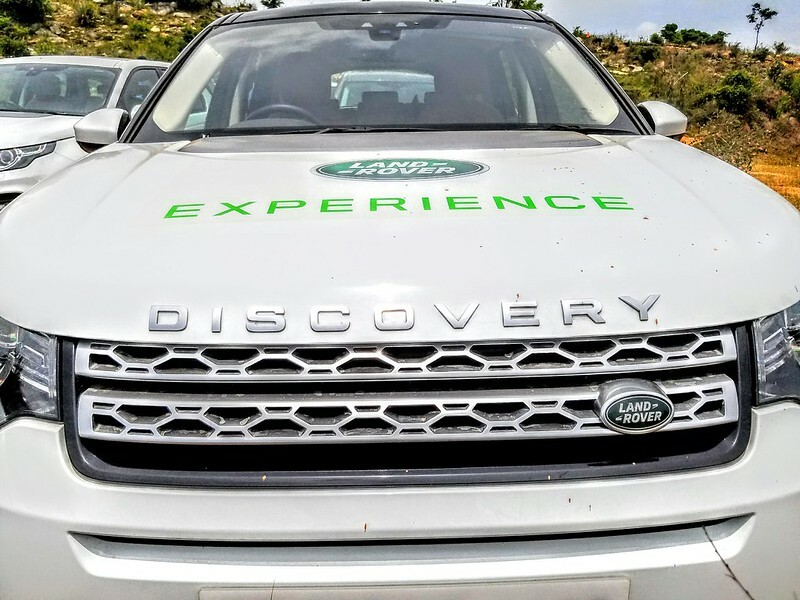 The drive was pretty smooth and seamless when we started and as i realised we are going on incline roads and down under as well and in pit and almost impossible roads to drive for a regular car but land rover did it with ease with sensors on each wheel that determines which tyre needs the maximum push and torque in order to drive easily.Some of the toughest task on the trail was easily completed by Land Rover Discovery Sport without much effort by the driver.If you are an observer, you would freak out just like me during inclination whether the car would tumble over, but behind the wheel you know you are in safe hands and overall we had total 1 hour of adrenaline rush in the car during our off road trail. 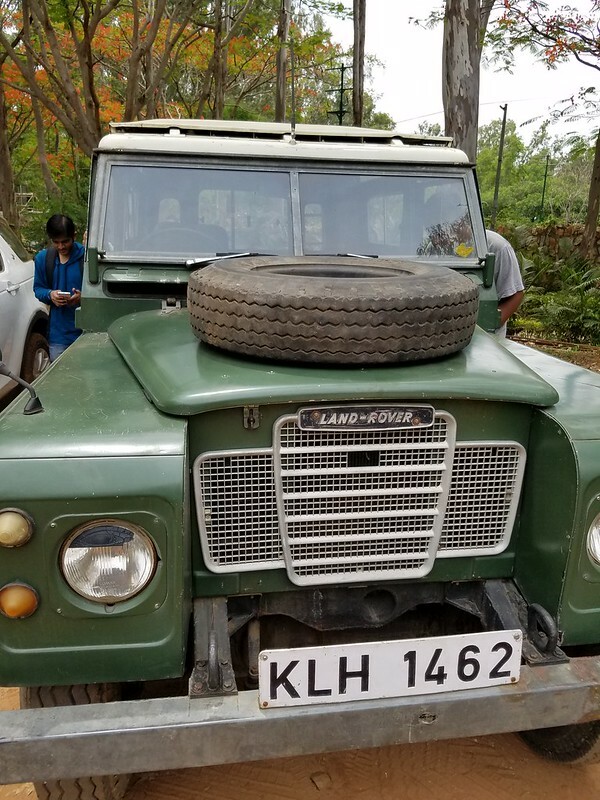 These are some of the oldest Land rovers that are still in working mint condition.